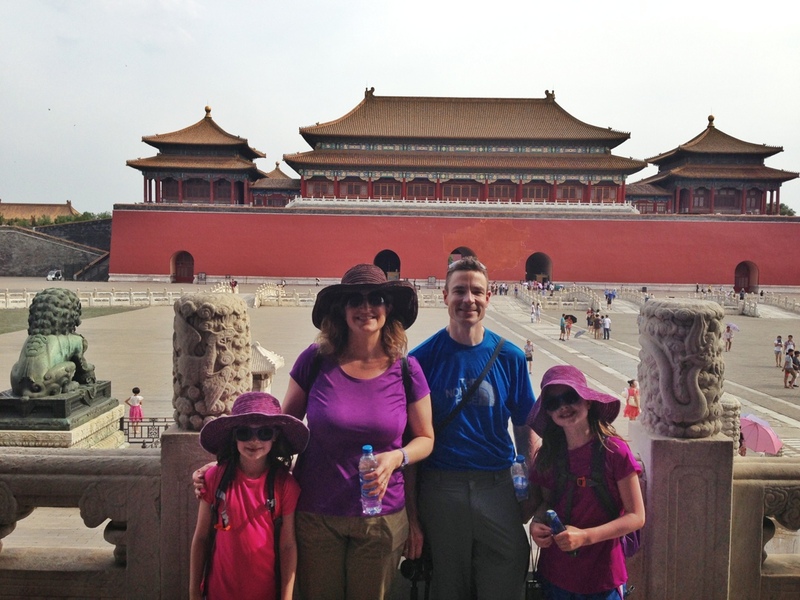 We arrived in Beijing about an hour late, but swiftly passed through Customs to the taxi line. 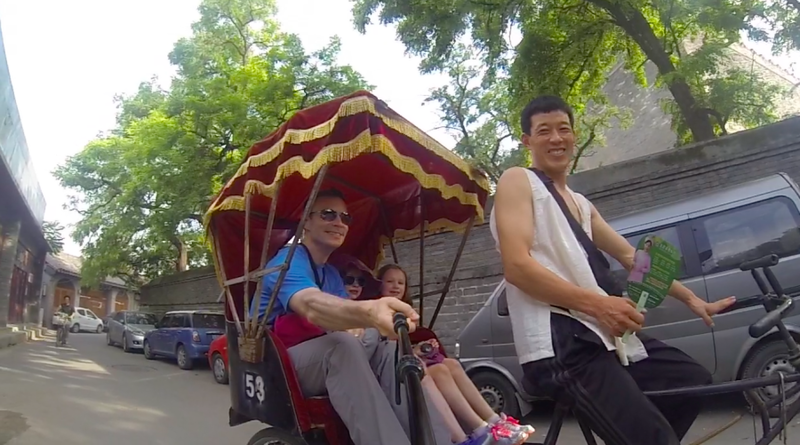 Though cheap (106 RMB = $17.50), the ride takes about 45 minutes, but is less than 20 miles. Traffic is omnipresent in Beijing at all hours. For the Olympics in 2008, Beijing implemented a traffic decongestion plan such that cars with license plates ending in an odd number could only travel into the city on odd days and even plates on even days. Those who could bought second cars! In 2010, the city changed the plan so that 2 numbers were prohibited on a single day per week. For example, 8 and 4 are banned from driving on Fridays. 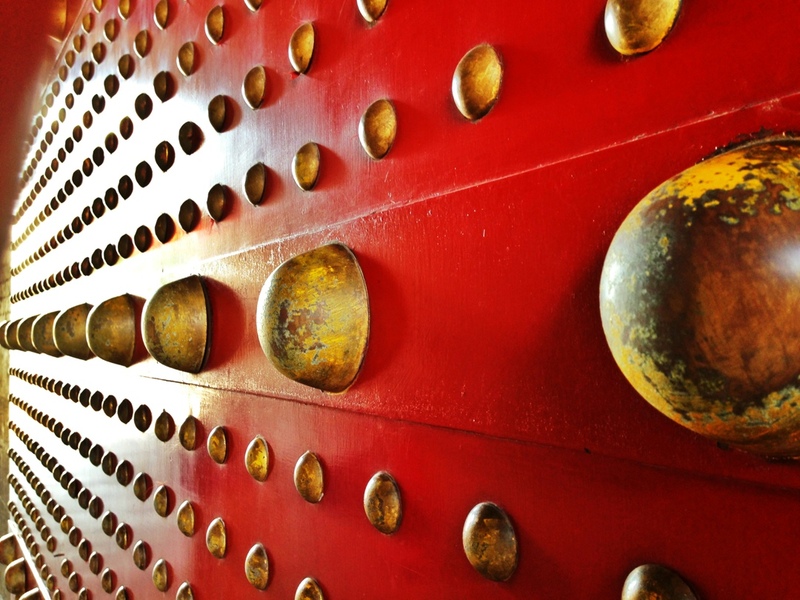 Since 8 is lucky in China (because the word 8 sounds like the word for good fortune), there are a lot of plates ending in 8. Conversely, 4 is unlucky because it sounds like the word for death, so there are fewer 4 cars on the road. We were met at our hotel by Carherine Lu of Catherine Lu Tours. 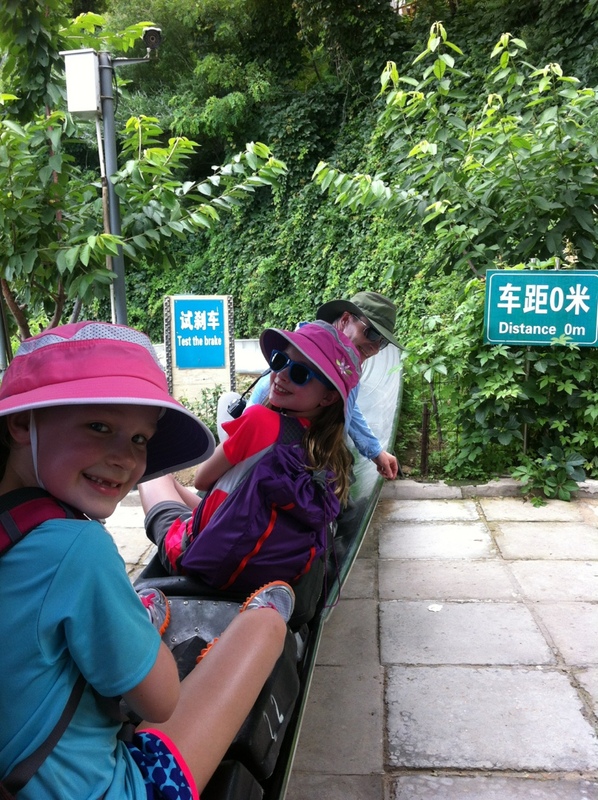 After checking in and changing, we re-emerged ready to sightsee. 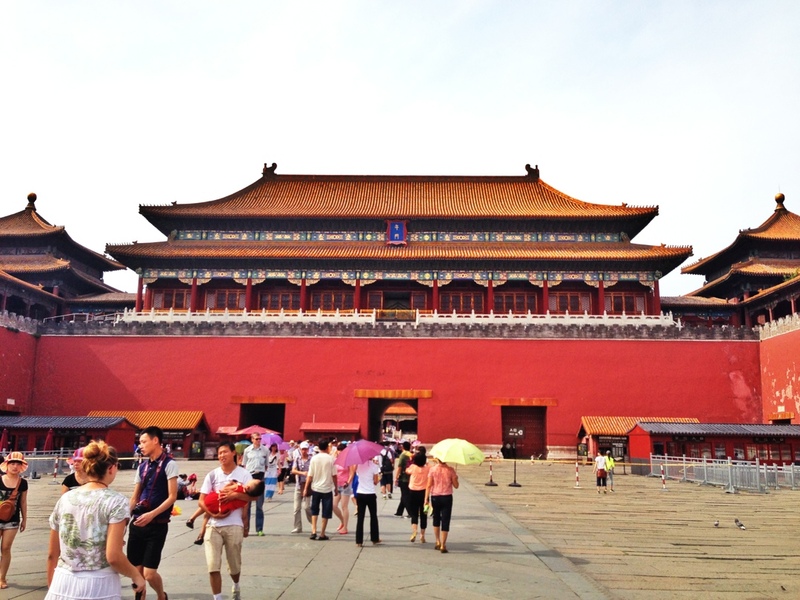 We hopped into our air-conditioned van and headed to the Forbidden City, a few blocks away which took about 10 minutes. It was almost 4pm but still very hot (90F+ in the shade). 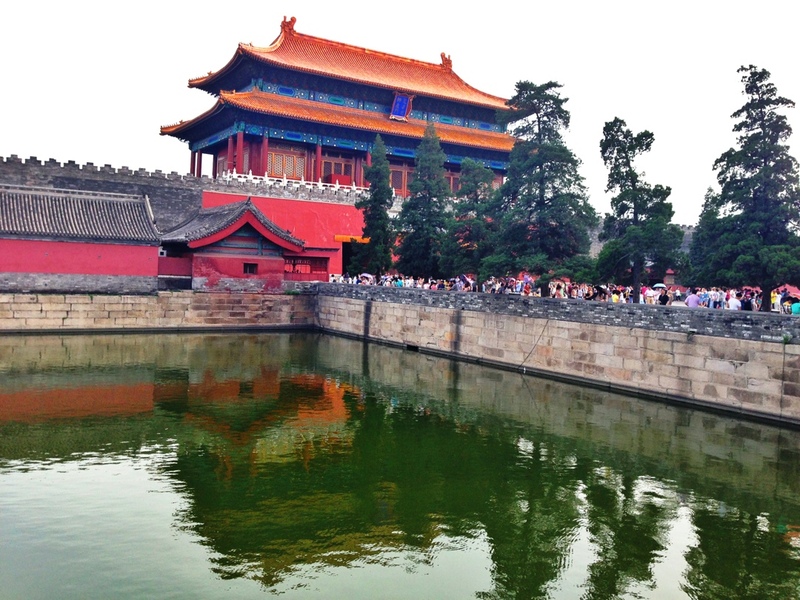 The Forbidden Cty was built between 1406 and 1420 during the Ming Dynasty for Emperor Yongle and was in use until the end of the Qing Dynasty in 1912. Because 9 is the largest single digit number, it conveys the highest prestige. Hence, the doors of the City have 9×9 knobs for Emperor, 999 1/2 rooms (one less than perfect to show respect for the spirits). Similarly, the corner lookouts have 9 pillars, 18 beams, and 72 ridgeposts ( = 99). There were 5 elements which existed at that time like a game of ro-sham-bo: Fire, Metal, Wood, Earth, Water. Fire can melt metal which can chop wood which can root into the earth which can absorb water which can put out fire. 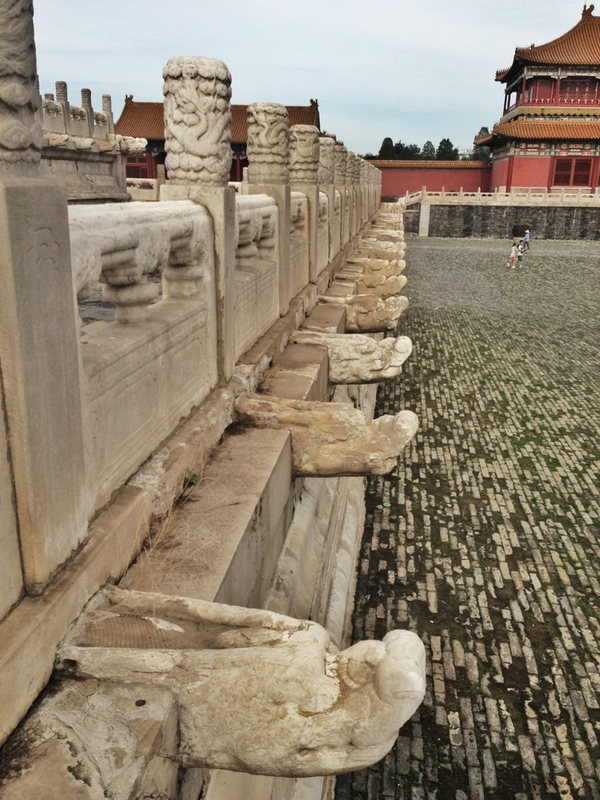 More than 1000 dragon heads spout water during rain storms. 308 bronze crucibles line the inner perimeter if the City for holding water in case of fire because the buildings were wood (Water>Fire>Wood). No trees were planted inside the City because wood > earth, and they didn’t want trees to destroy the ground. 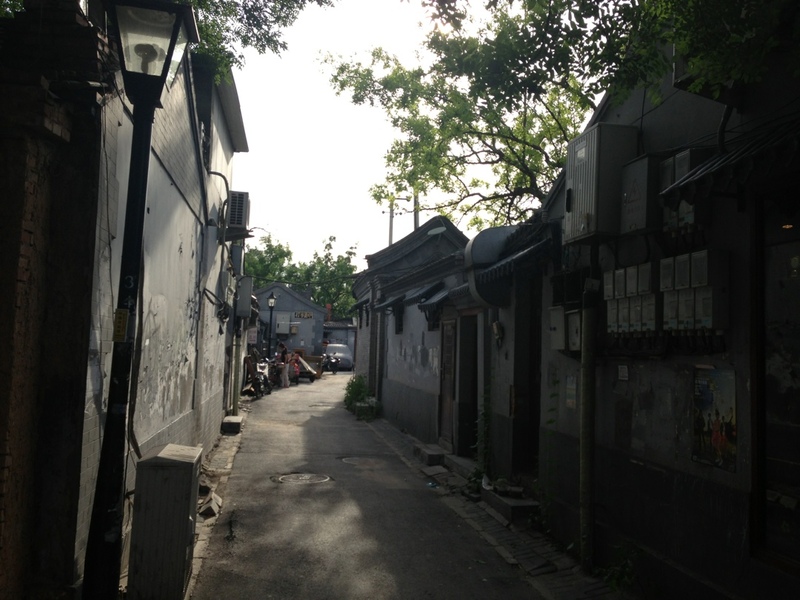 We also toured a Hutong, or the common people’s town. 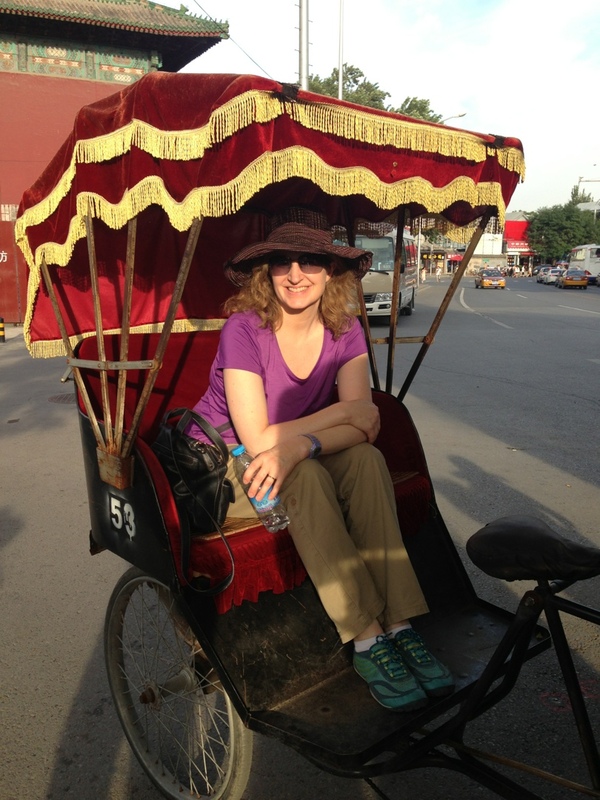 We took a pedi-rickshaw around, saw some small markets, and visited a home. I was hoping for a small return to the past – a re-enactment of old times, but it was just narrow streets filled with cars and a few Audis (not a common people’s car)! The markets were eye opening to the kids. 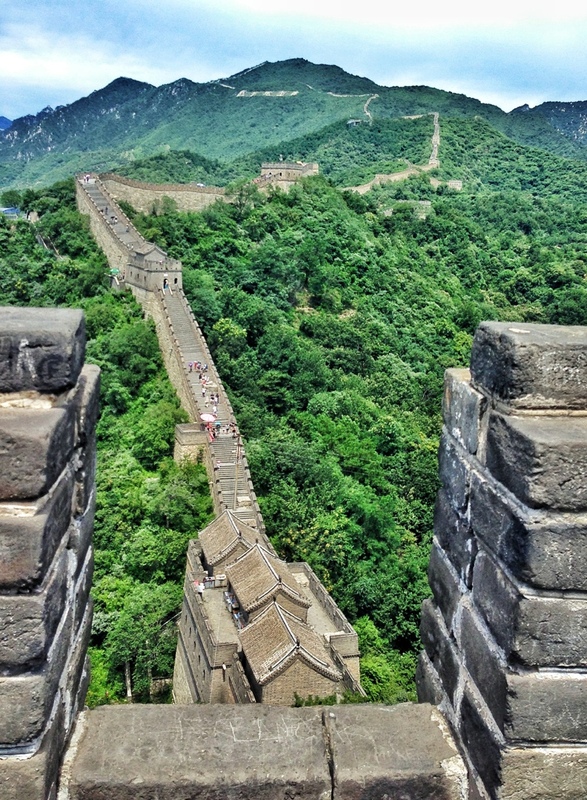 About an hour north of Beijing, you can visit the Mutianyu section of the Great Wall. 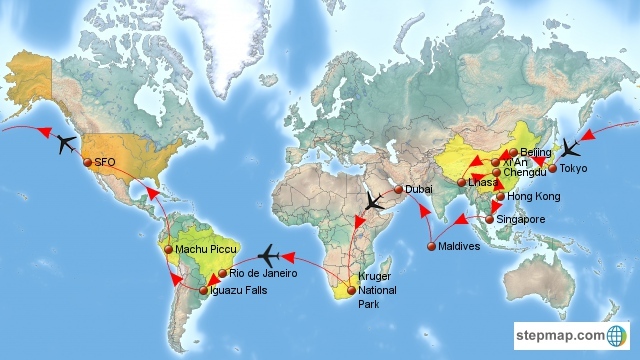 Originally built to keep the Huns out and at its peak extending 10,000km long, only about 6700km still exists today. 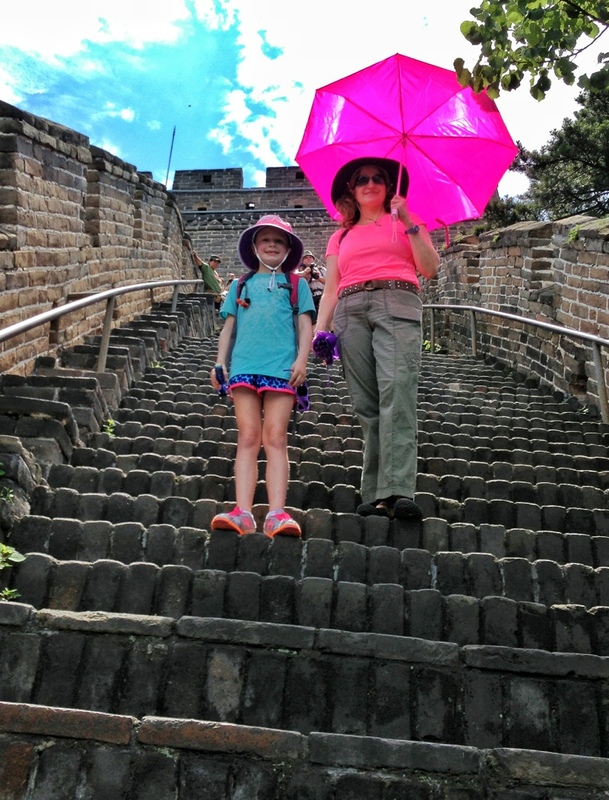 600km of the Wall is outside Beijing, and it’s the tourists who now invade. 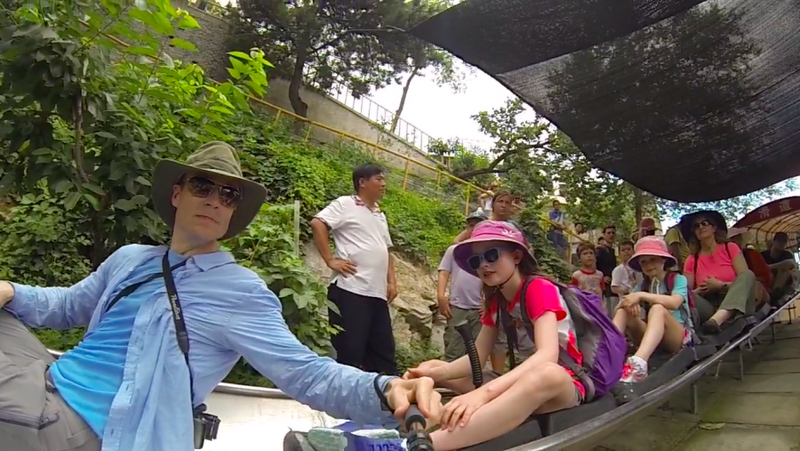 The Mutianyu section has two ways to get to the wall: gondola or chair lift. We took the chair lift. 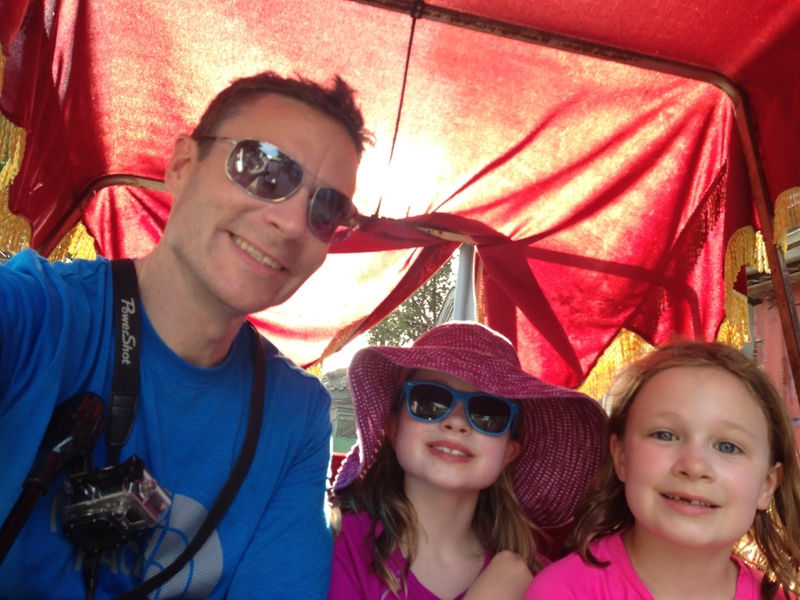 There are three ways down: the gondola, chair lift, and…. 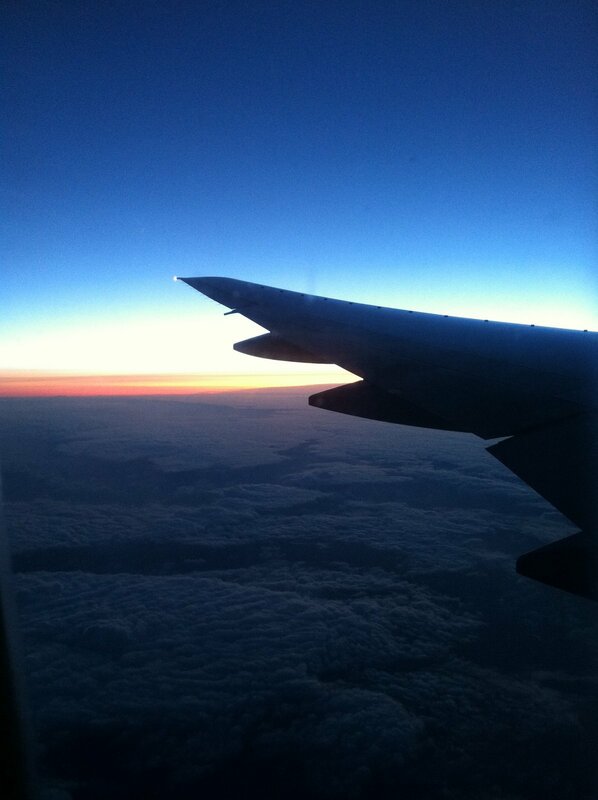 toboggan! 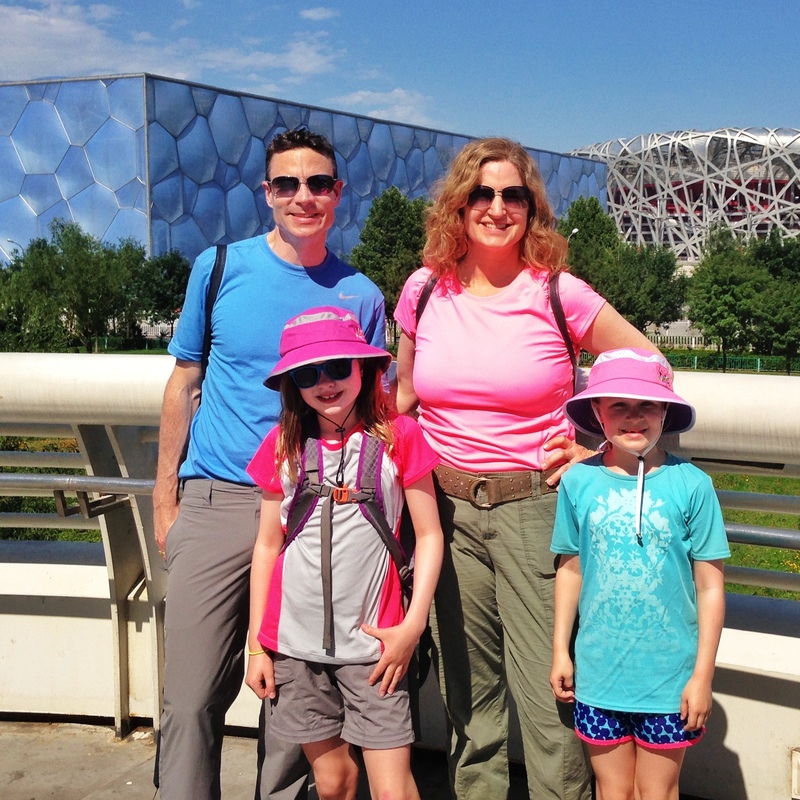 We swung by the Olympic Park on the way back from the Great Wall and saw the WaterCube and Bird’s Nest. Since 2010, the WaterCube has been transformed into a swimtastic indoor water park (we didn’t go in). We nearly melted taking this photo in the 95 degree heat. 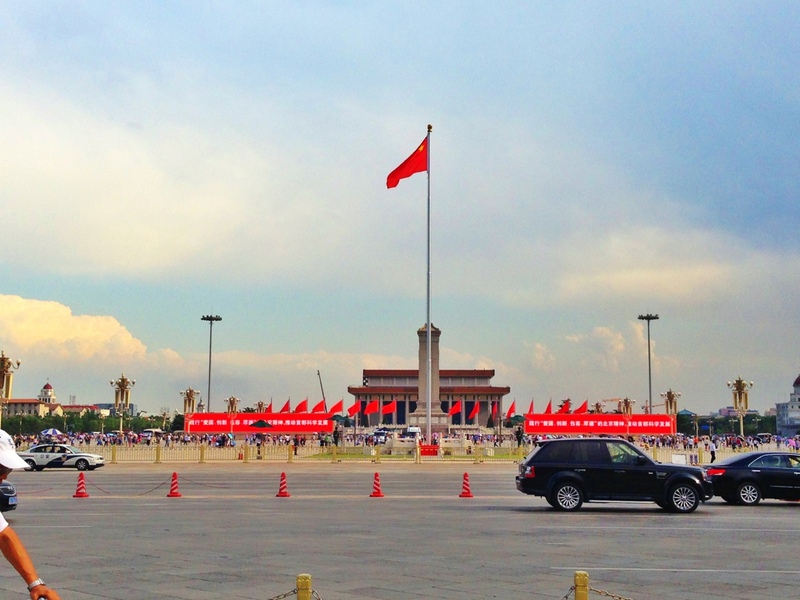 We also visited Tian’anmen Square which is bordered to the south by the northern entrance of the Forbidden City. 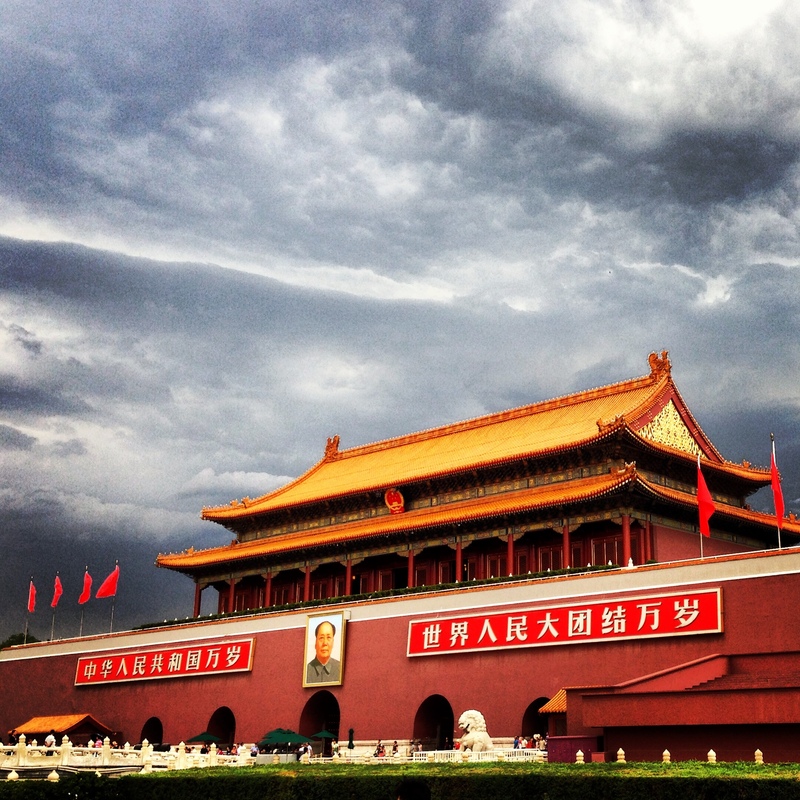 The baby-faced supreme leader, Mr. Mao gazes over the square. The Chairman is also embalmed and entombed in the square flanked by messages to the people. 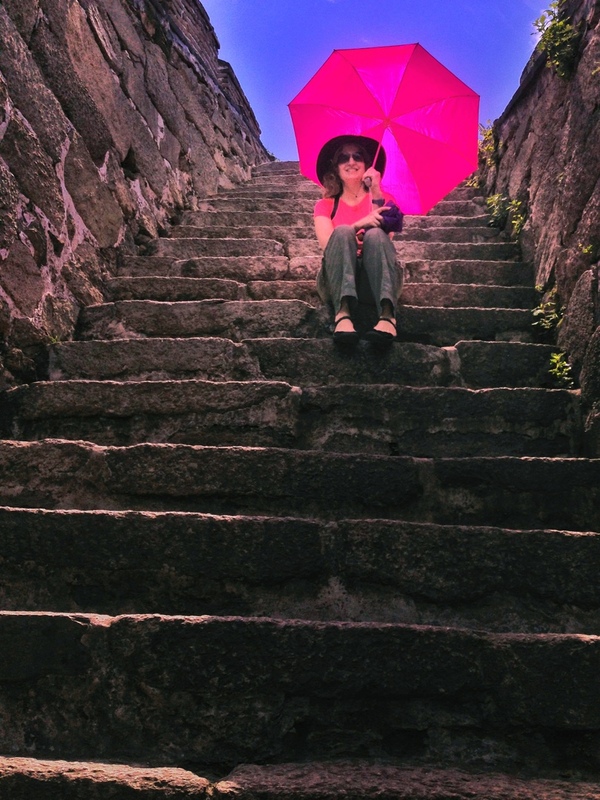 A sudden afternoon storm whipped up and suddenly locals and tourists went running for cover. That, or the Chairman didn’t like my photography work.